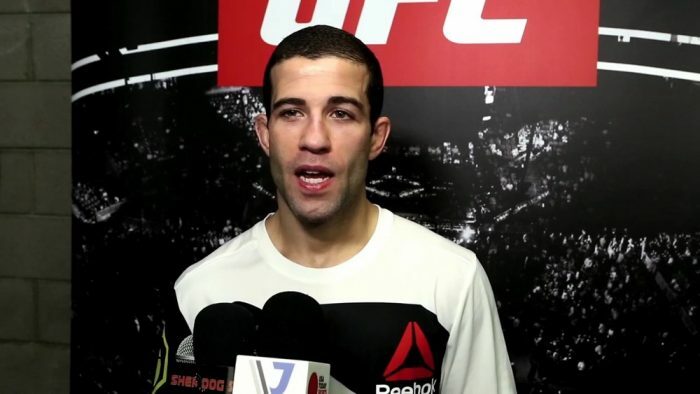 Augusto Mendes has been pulled from his upcoming bout at UFC Fight Night in Atlantic City after an out-of-competition drug test was flagged by USADA for a potential doping violation. According to UFC officials, Mendes had a sample taken on March 7 that was flagged as a potential doping violation and due to the close proximity to his upcoming fight on April 21, the promotion pulled him for the event. Mendes’ opponent Merab Dvalishvili is expected remain on the card as the UFC seeks a replacement opponent. Mendes has gone 1-2 thus far in his UFC career with his last fight taking place nearly a year ago in April 2017. Now the Brazilian born submission specialist will remain on provisional suspension while dealing with USADA over the drug test that was flagged.